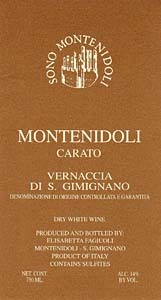 The richest Vernaccia is well suited to wood, which enriches it, adding complexity and nuance, and contributes greatly to its aging potential. 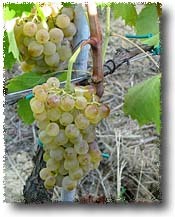 It ranks among the finest whites in the world. Food-Wine Pairings: Swordfish, lobster, spiny lobster, wild mushrooms, white meats, and aged cheeses, from Parmigiano through Stilton.